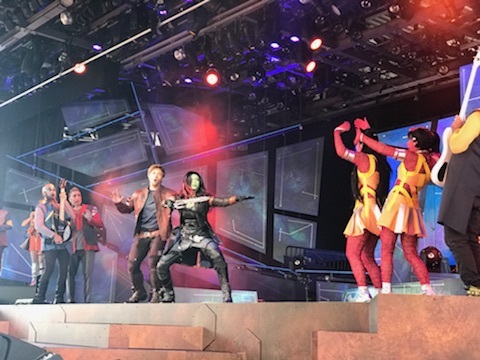 Saturday, June 9th, the Guardians of the Galaxy Awesome Mix Live debuted at Epcot and we were on hand to check it out. The show is located at the American Gardens Theatre in the World Showcase and plays 5 times a day. 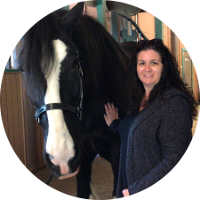 You can check My Disney Experience for show times. I wasn’t sure what to expect with this show, but I was super excited to see what it was all about because let’s be honest who doesn’t love Star-Lord, Gamora, and Baby Groot. The premise of the story is Star-Lord brokered a deal with the Xandarian government to bring an outreach program to Earth (more specifically Epcot) to share their culture and heritage. From the moment Star-Lord and Gamora came out, the crowd goes wild, and when they see Baby Groot forget it, everyone is ready to party. The music was of course some of the faves from the movie and once it starts, you can’t stop dancing. There was live singing, dancing, pyro, and special effects. The show was much more than I expected. This show appealed to all ages. We were all dancing in our seats. My family loved it so much that we went back for another show. I think this is a great addition to Walt Disney World’s Incredible Summer, but you better hurry and catch it because it’s only here until August 19th.